The following are detailed specifications about the Set of 4 Mirrored Wall Panels. 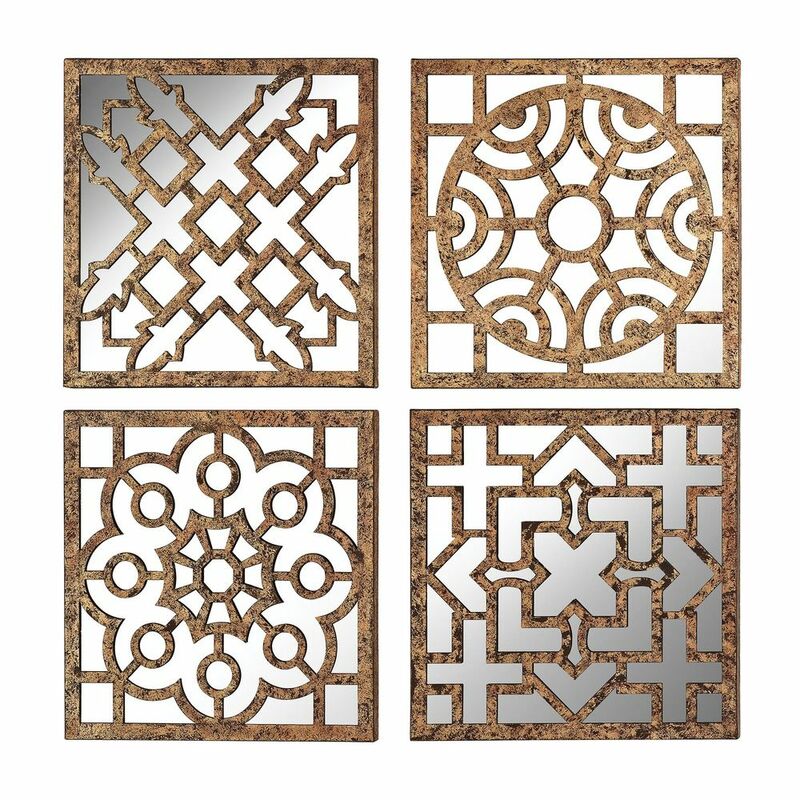 Traditional gorseiron gold mirrorThis Set Of 4 Mirrored Wall Panels Are Formed From Metal Pierced In Traditional Moorish Patterns. Mirrored Backs Reflect Light And Create Ambience. 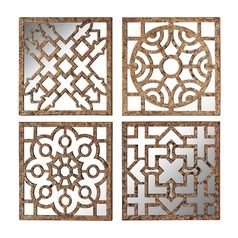 This Set of 4 Mirrored Wall Panels is part of the $item.xCollectionName Collection from Sterling Lighting. The following items are also part of the $item.xCollectionName Collection.